When I was filling out my December pages in my bullet journal I started a Christmas bucket list and I filled it up full of things for us to do in the weeks leading up to advent. Now, most things on there are achievable little things that we do every year, like go and see the Christmas Lights or have a Christmas movie night, so I added a few more that I wasn’t sure we’d do but I hoped we could. 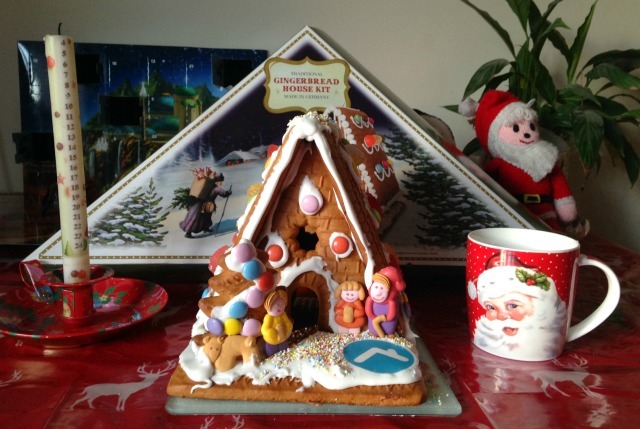 One of those was to build a Gingerbread House – something that I’ve never done with the boys, in fact I’m not sure that I even made one in my own childhood. As much as I would love to tell you that we baked the gingerbread, we didn’t. I clearly have no time for that as lovely as it would be. Instead the kind people at Sykes Cottages offered to send me a kit so we could join in with their Sykes Christmas Gingerbread Cottage competition. The kit came with pretty much everything we needed and even had lovely little icing figures. I just added an egg white to make the icing and Skyes had popped in a little icing logo so we could make it a proper little cottage. This is obviously the way to go if you’re building a gingerbread house as it was so much easier to have everything there to hand. I’m not sure how adventurous we were with the design but it was made with three little boys helping out so I’m just happy it’s standing. Part way through they did become more interested in eating the smarties and sprinkles and I was tempted to keep it to myself and create a festive masterpiece. 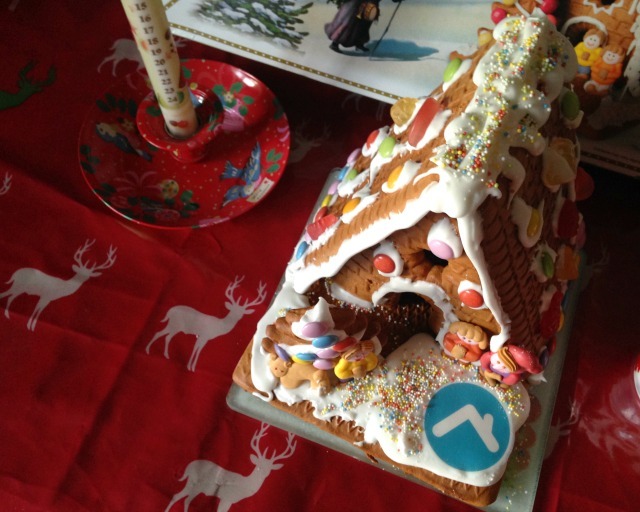 That would take away from the charm though – our gingerbread cottage was a family effort and it definitely shows! We made a video while we were making it which all looks very charming and festive. If I’d have kept the audio on you’d have heard me and my husband firmly telling them they can’t eat the sweets yet and the twins arguing about which colour smartie they’ve got. Despite all that this has definitely been a fun Christmas memory for us and one I think I’d happily do each year, although I’d be tempted to make one of my own to decorate just how I’d like to! At the end Brandon declared that he would like to live in the house so I’d say that it was a success. Let’s see if we can make it last until Christmas (a few of the sweets have already been liberated!). 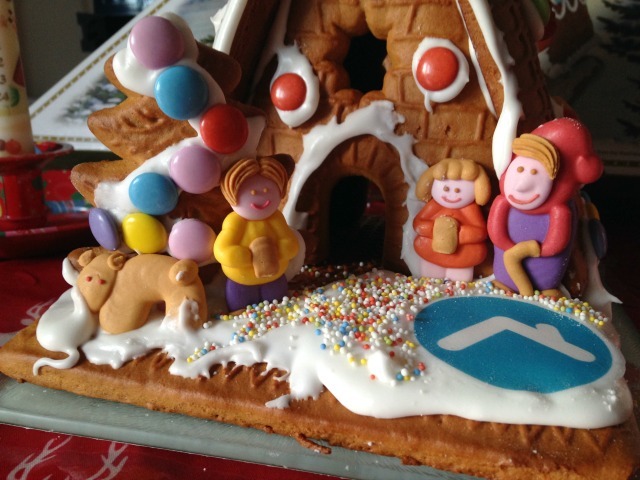 This is our entry to the Sykes Christmas Gingerbread Competition.